Currently, we support 101 girls from the poorest families in rural villages of Nepal to receive a formal education. There is no electricity supply in the girl’s home so they cannot study in evenings. Hence, we provided a solar lantern, and now they can study in the evenings. The villages where currently, we are working is at high risk of mosquito-borne diseases, such as malaria. The poorest families are in greater danger of being infected by the mosquitos. 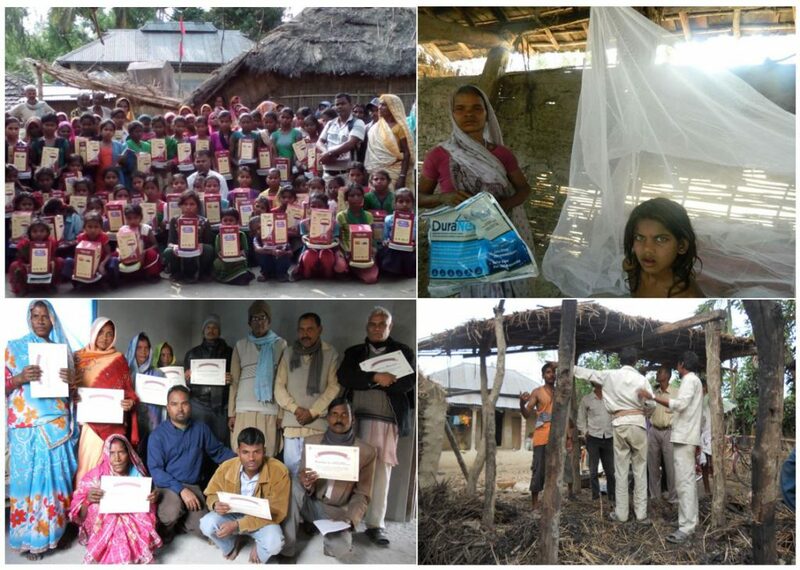 Hence, we provide a mosquito net to the families and raise awareness about preventions. We provided emergency supply package to fifty-five families on two occasions when their houses were burnt down. The package included of a tent, mosquito net, clothes, grocery supply for a month and cash for fresh vegetables. The villages where currently, we are working experience subtropical weather with a strong wind from April to September every year. The majority of people in the villages have a thatched-mud house and, they use fire-wood to cook. Even a small mistake from anyone burns down an entire village in minutes. Over 80% of families in the villages are poor, and they can’t afford a brick house. The families don’t just lose their house in the fire but their entire livelihoods, such as cattle, grains and other belongings. Capacity to deliver and manage the projects lacks in locals. Hence, we provide project-specific skills development training to ensure the project are delivered in time and managed properly. It also strengthens our partnership and increases the chance for the locals to find a better job.